Often, when an actor takes on a particularly challenging role — especially when it's representative of a large demographic of people — they embrace the fact that they were able to be a voice for that demographic. Gary Sinise is one of those actors. 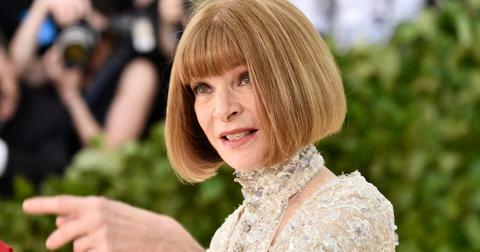 The Emmy-winning actor is probably best known for his role as Lieutenant Dan in the Oscar-winning, feel-good classic Forrest Gump. In the film, Gary portrays a disabled veteran who comes from a long family line of men who died in combat. 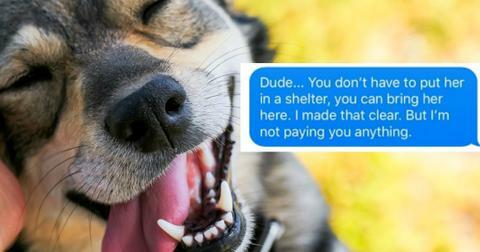 One would think Gary's contributions to veterans and their families was primarily motivated by his turn at Lt. Dan, but this is only partly the case. The actor has been contributing to veterans and their families for 40 years, and even launched the Gary Sinise Foundation to assist them further. But there's one initiative from his program, geared towards children, that has been garnering headlines recently: the Snowball Express Program. 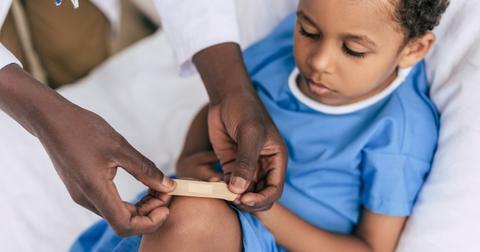 It specializes in taking care of children whose parents have fallen in the line of duty. 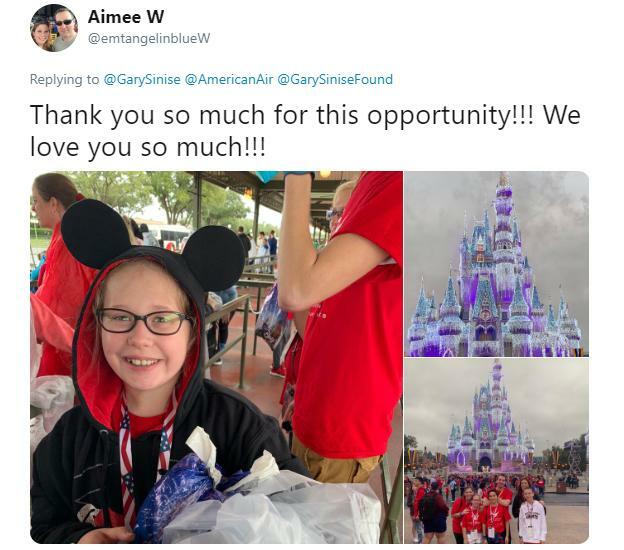 Thanks to the program, over 1,000 children, along with 750 of their surviving parents, received trips to Disney World two weeks before Christmas. 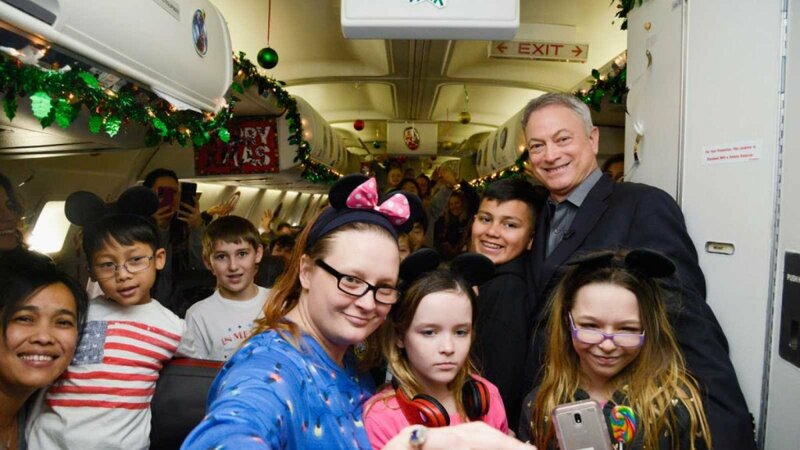 That's right, 1,750 people got their flights, tickets, and accommodations to Disney World comped thanks to Gary Sinise's awesome charitable organization. The Criminal Minds star tweeted the good news, along with a photo of an American Airlines flight full of excited children. 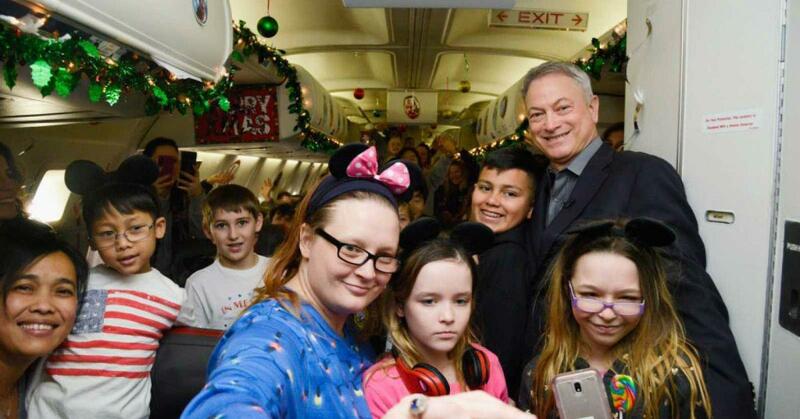 What's extra cool is that the plane was decked out to be full of holiday cheer. You can feel the yuletide joy just oozing through the picture, right? 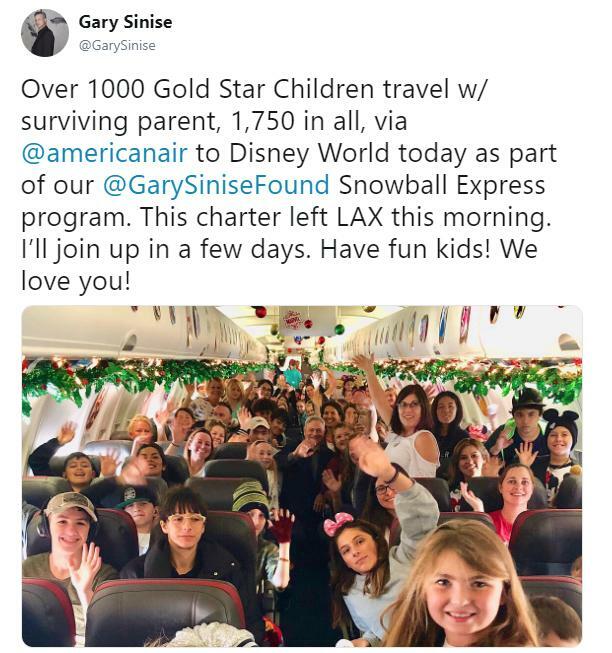 "Over 1000 Gold Star Children travel w/ surviving parent, 1,750 in all, via @americanair to Disney World today as part of our @GarySiniseFound Snowball Express program. This charter left LAX this morning. I’ll join up in a few days. Have fun kids! We love you!" "The holidays can be especially challenging for grieving families. Each December, we host a five-day experience for 1,750+ children of the fallen and their surviving parent or guardian. As a therapeutic retreat with a blend of fun and inspiring programs, these families can lean on their peers for support. And this year we’re bringing Snowball Express to Walt Disney World® Resort!" 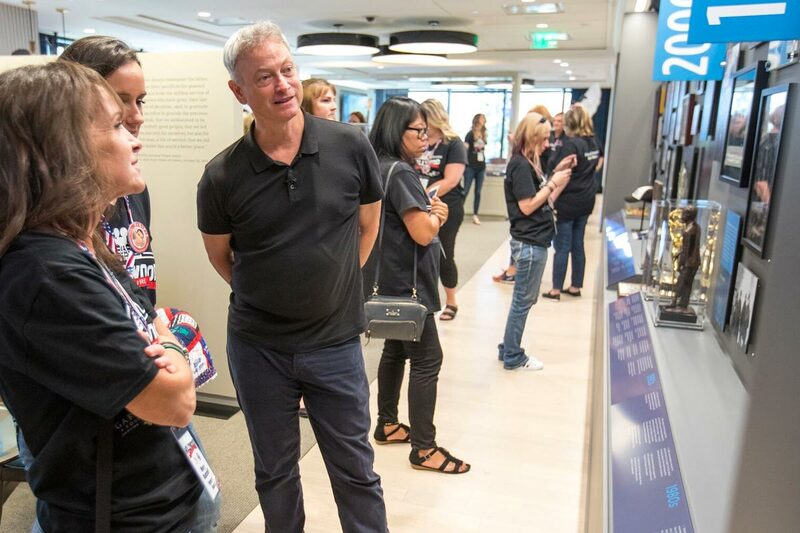 Sinise's devotion to veterans dates back the early '80s, after he founded the Steppenwolf Theater. He'd regularly host "Vets Night" where veterans could enjoy complimentary dinners and performances at the Chicago playhouse. 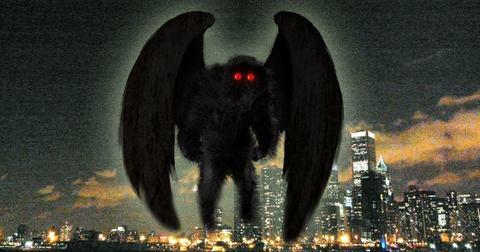 He also partnered with the Disabled American Veterans Organization in the '90s and is still a member to this day. In 2003, he partook in USO handshake tours and a year later, formed the Lt. Dan Band, a music ensemble that performs approximately 30 shows a year for soldiers stationed stateside and abroad. The band also lends its talents to various other charities and fundraisers that supports members of the military, veterans, and their families. "You need community support if you're going to make it and that's why coming into these towns around the country and playing these concerts to make sure that the town and the community understands what we're dealing with here. Somebody you see on television you know every week has come to your small community because it's important to support this wounded warrior who lives among you." Additionally, Gary is a spokesperson for the American Veterans Disabled for Life Memorial, and the actor's foundation has given more than 160,000 free meals to veterans throughout the U.S. The nonprofit has also turned some 70 houses into "smart homes" specifically designed to house severely wounded veterans. 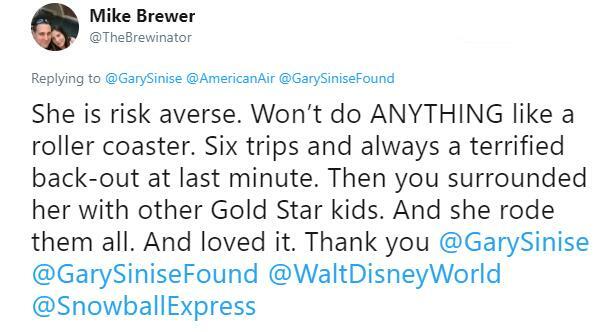 Children and families who have benefited from Sinise's trip have already taken to social media, thanking Gary for his contribution. From the looks of it, they're getting a wonderful kick-off to the holidays. Now that's awesome. I mean Forrest always knew Lt. Dan had a big heart of gold, but I don't think any of us could've predicted it was that big. Whatta guy.